Scuba diving or recreational diving includes the activities of diving for recreational purposes practiced with compressed air or enriched air (Nitrox) up to 40m deep as a rule. Of the existing modalities, scuba diving is the safest and the least risky, provided that it is equipped with a good training and is practiced following all protocols. Have a liability insurance, either your own or through the diving center with which you go to dive. 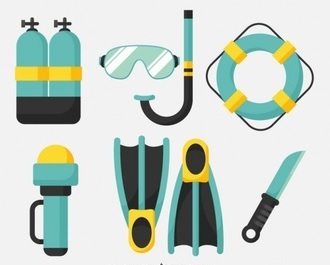 Have a diving equipment complete and in good condition, either our or rental. In most cases, have a medical certificate that enables us to practice underwater activities. In most cases, if we dive, we will do it through a diving center that will take care of everything we need, even if we need to do training and obtain some certification. Depending on the perspectives we have and where we go to dive we must also assess what type of insurance to hire, if we must hire ourselves. In some countries like Thailand it is the diving center that pays insurance that includes all its divers while in others it is the diver who must hire their insurance. Hiring insurance through the diving center. Ideal if we want to hire only for the same day we are going to dive. Hiring insurance through an agency. This option is more limited since they usually work with large companies that are not specialized in diving insurances. 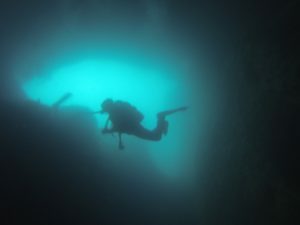 Hiring the diving insurance online. This option is usually the cheapest and fastest since they usually process at the time of payment. We also found several options; 1 day, weekly, monthly or annual insurance. The diving equipment is a very personal thing. First of all we must assess whether it is worth having our own equipment or renting. Everything will depend again on our foresight, objectives and the experience we have in the world of diving. To start it is quite common to start acquiring the light equipment, which is more economical and personal and go testing different elements in terms of the heavy equipment. On our website on scuba diving equipment you will find detailed information on everything related at this point. There are several certifying agencies approved with standards for the training of divers for recreational purposes. Some examples of well-known certification agencies would be PADI, CMAS or SSI. It is important, when choosing which certification agency we are going to train, to be members of the WRSTC. WRSTC is the World Recreational Scuba Training Council. The aim of the WRSTC is for all the registered agencies to have minimum standards for diver training and therefore to offer quality training. Perhaps also, if we are clear that in the future we want to make of scuba diving our profession, we have to consider with what agency we have more possibilities of finding a job.